There are a wide variety of digital SLR camera cases for you to choose from. Camera cases come in all shapes and sizes, from the simple form-fitted case to a backpack with pouches galore. So how do you select the right one? It comes down to one important question: how much gear do you need to take the photos you love? If you've just spent 500+ dollars (or any significant amount of currency) on a digital SLR it makes sense to protect it. 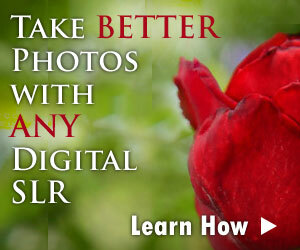 Here's the thing: digital SLR cameras are accident-prone. Most compact cameras can take a beating. The lens is enclosed in the camera body when not used, and the camera doesn't have a lot of joints where water and sand can sneak in. Digital SLR cameras have lots of openings: one for the lens, one for the battery, one for the memory card...the list goes on. Each one of these opening presents an opportunity (although slight) for your camera's electronics to get affected by wind and weather. It doesn't help that SLR lenses extend from the camera body at all times, and are easy to bang and scrape on rocks and other sharp objects. Digital SLR camera cases are designed to prevent these kinds of mishaps. Form-fitting digital SLR camera cases are designed for specific cameras. Since they are designed to fit snugly around the camera body, you can't use them with cameras that have different shapes. They aren't one-size-fits-all solutions. Small bags and fanny packs are best suited for one camera with several lenses. They're versatile: these digital SLR camera cases can carry a variety of camera models. They are great for hiking trips and other times where you don't need to pack a lot of gear, but want your camera along for the ride. Backpacks and slingpacks are for photographers who want to carry lots of gear all the time. They're designed for longer trips (not day hikes) when you're not sure exactly what type of photo opportunity might present itself. Now I'll get back to that question about digital SLR camera cases. How much gear do you really want? A form-fitting digital SLR camera case is a good option if you don't think you'll ever use more than the camera and lens that you purchased. If the camera and lens takes the photos you love, then get a case that fits it well. This will keep it covered and protected when not in use. The only trick is finding the right case for your camera: here's a list of digital SLR camera cases fitted for specific camera models. If you think that you might branch out in the future and get an extra lens or a flash for your camera, the form-fitting case won't work. Instead, opt for a small bag that has enough room for your camera plus a few accessories. A camera case like this gives you some room to grow so that you can explore more styles of photography in the future. For all of you with impulse-control issues (like me) a backpack or slingpack is probably a good idea. I started out with one camera and one lens. Today I have 2 camera bodies, 4 lenses, three external flashes, a tripod, filters...you get the picture. The nice part about having a digital SLR camera case large enough to store all of this gear is that it's all in one place. If I have to run out the door quickly to take some photos I can do it without worrying about where I've put all of my camera gear. The only digital SLR camera case that I can personally recommend is one that I have used extensively: the Adorama Slinger Bag. This bag is definitely for anyone with a lot of gear (or who expects to have a lot).